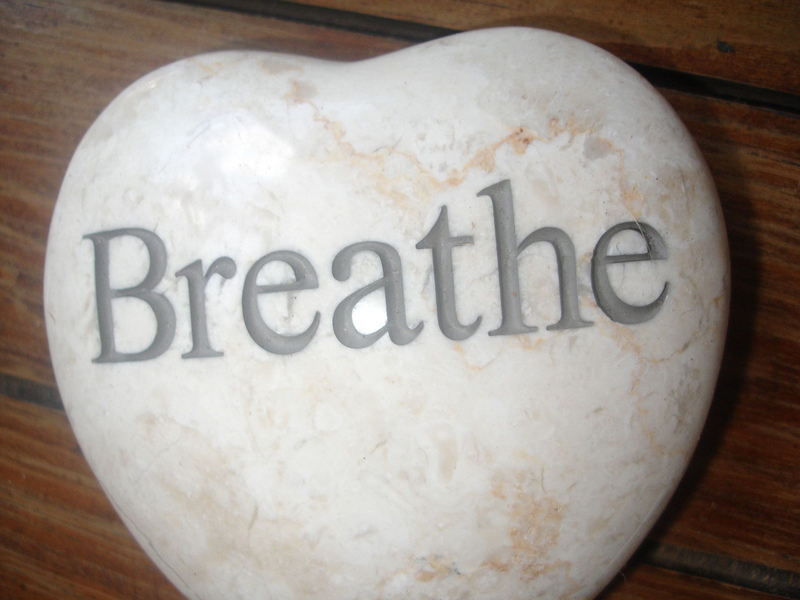 Home : Blog : What’s The Big Deal About Breathing? What’s The Big Deal About Breathing? If you’ve ever been to a yoga, meditation or Pilates class, odds are you’ve heard one of the following phrases: “stay connected to the breath,” “breathe deeply,” or “it’s all about the breath.” While there are many reasons for deep conscious breathing in all of these practices, what good does it do us outside of the yoga studio? What’s the big deal about breathing? We know that we have to breathe to live. But breathing deeply and consciously can make a huge difference in how we live. Here are five ways we benefit physically and mentally by the simple act of conscious breathing. An Energy Boost – For those days when you’re so tired you could lie down on a bed of nails and sleep for hours. By focusing on deep, energizing breaths we can boost our energy levels, and combat mental and physical fatigue. We’re bringing in fresh oxygen and helping increase the supply of blood and nutrients to our body. The Great Stress-Reliever – For the times when your kids or your spouse or your boss have pushed your buttons and your head might just explode out of frustration or anger. By taking deep, calming breaths, you can reverse the stress response. Your muscles and mind can then relax, enabling you to gain perspective on the situation. It’s pretty difficult to hold onto muscle tension or stay angry and stressed when you’re breathing deeply. Keep Your Appetite Honest – For the times you’re trying to monitor your food intake but all you want to do is have that extra brownie and/or bag of chips. When we breathe deeply into our diaphragm, not only do we keep our digestive system running smoothly, we are also forced to pay attention to when our stomach is full. Have you ever tried to take a deep breath after overindulging at a meal? It’s nearly impossible without feeling like you’re going to see the meal again (except it won’t be on a plate this time). Healthy Heart – For the days, weeks (or months) when we’re running around between kids’ activities, work, family commitments, and we’re taking care of everyone else except for ourselves. With women being more likely to die from heart disease than any other cause, staying connected to the breath becomes extra important. Deep conscious breathing has been proven to reduce blood pressure, improve blood circulation, and lower the heart rate, all of which contribute to the wellbeing of the heart. Slowing Down – For when the only time you wind down is by falling into bed at night exhausted. Being mindful of our breath allows us to truly listen to our bodies. It causes us to slow down, gain clarity on our physical and mental state, and gives us a little more space in our day. Who couldn’t do with a little more of that? In the days ahead, why not try to breathe a little more deeply? And let me know how it feels.